While it was freezing outside, this was going on in my oven this morning. I posted about this before and you can find the recipe on my blog here. They were soooo delicious. Oh the crunch! Oh the creamy! Something magical happens when you bake cheese on top of meringue. Please try it! Meringue Breakfast Buns, served with banana drizzled with Tomato Marmalade. These are without a doubt my most favorite scones ever! I don’t remember where the recipe came from. I have it hand-written in a 20 year old notebook. If anyone knows the source, I would be glad to give credit. I managed to convince myself these scones are healthy because there are only two tablespoons of brown sugar in the recipe, plenty of whole wheat and good fruit. This way I justify the 1 cup of butter and 2/3 cup buttermilk completely. These are best served warm. However they taste just as delicious warmed in the microwave the next day. Add the buttermilk/date mixture to the flour mixture and stir with a fork just until evenly moistened. Turn out on a floured surface; dough will be soft. Pat to an 8″ circle. Cut into 8 wedges. 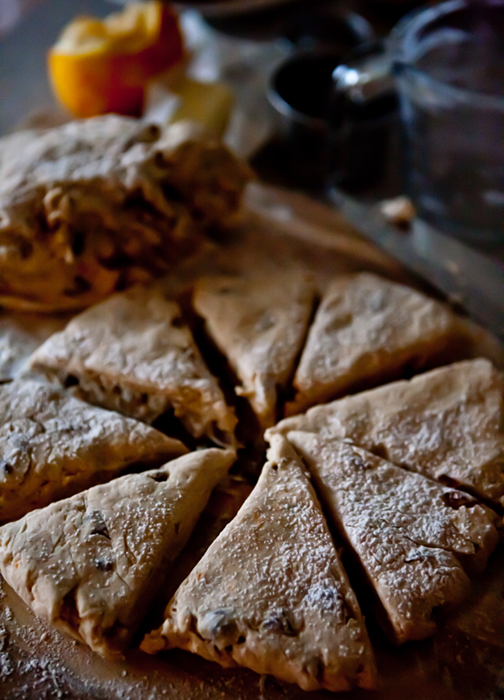 Orange Date Scones - This photo shows a double recipe here with half the dough being cut into 8 wedges. Melt 1/4 cup butter in heavy 9 x 13″ baking dish in oven. This takes just a couple minutes so watch the dish. Remove from oven. Place wedges in the melted butter and return to oven. Bake 15 minutes. 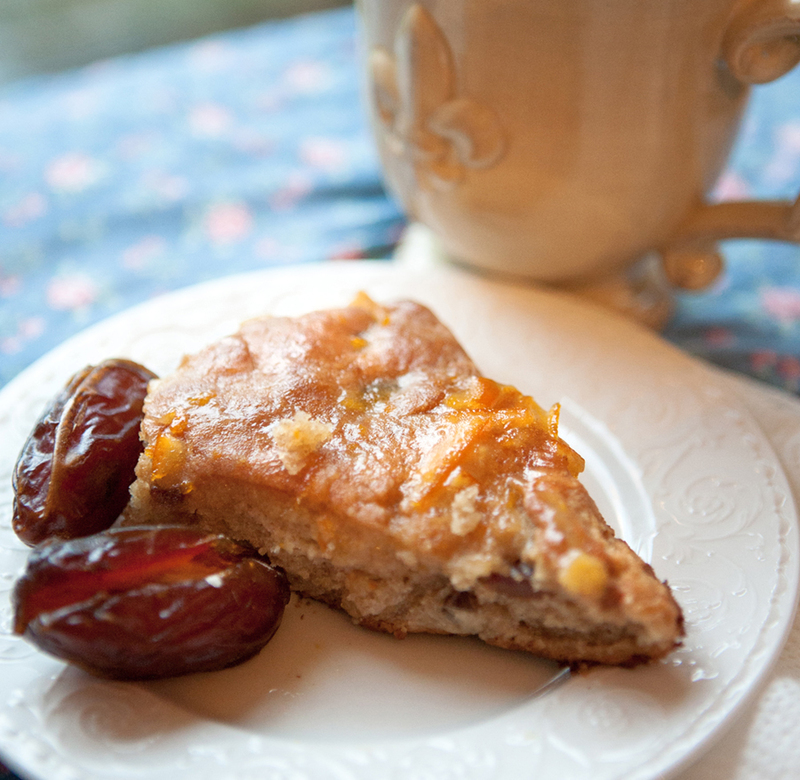 While scones are baking, in a pan on medium heat, melt 2 tbsp butter with 3 tbsp orange marmalade. Brush over hot scones when they are done baking.